Cassidy De Leon just had herself an early graduation ceremony from high school last week. 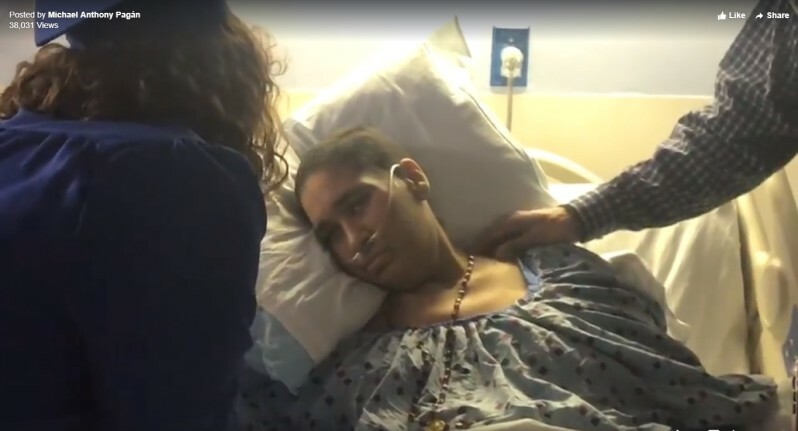 Her mother, 51-year-old Elizabeth De Leon had been fighting colon cancer for three years and her dying wish was to see her daughter graduate high school. The kind administrators at Washingtonville High School decided to make this mother’s wish come through. So they brought the graduation ceremony to the hospital. Although her mother was unable to stand for the ceremony, hospital staff propped her up on the bed so she was able to watch the entire process. Cassidy’s story has been viewed over 38k times on Facebook and people continue to be touched by the kindness of her school administrators. It is ample proof that there are still a lot of people with good hearts in the world.